We are SO happy to announce the addition of Ashley Geremia to our salon! We are so excited to announce that Ashley Geremia, hairstylist, colorist and make-up artist has joined our team at La La Luxe Salon! A graduate of Paul Mitchell the School in RI, Ashley joins us with 5 years of experience in the industry. 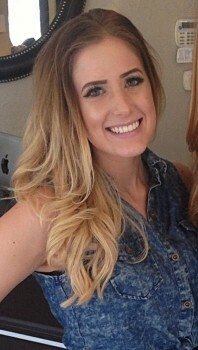 She is extensively trained in all techniques of blonding, highlighting and corrective color and is also highly experienced in ombre coloring and Davines’ Flamboyage highlighting technique (a technique in which the highlights are extremely natural and sun-kissed yet beautifully rich and multi-tonal). Ashley has an extensive background in make-up artistry having worked as a make-up artist for Chanel and combines this experience with her natural talent to make you look and feel beautiful. She is a master at formal styling and wedding up-do’s and is available for on-location weddings, photo-shoots and special-occasions. Ashley’s creative vision fuels her passion for hair, giving you an edgy yet wearable style. Come and see Ashley on Wednesday’s 10-8, Friday’s 9-5 and Saturday’s 9-4 at La La Luxe. She is accepting online appointments right now! https://lalaluxesalon.com/wp-content/uploads/2016/09/logoNEW-1-300x144.png 0 0 lalaluxe https://lalaluxesalon.com/wp-content/uploads/2016/09/logoNEW-1-300x144.png lalaluxe2013-06-17 11:20:542013-06-17 11:20:54We are SO happy to announce the addition of Ashley Geremia to our salon!